I love when couples make the engagement session about who they are. 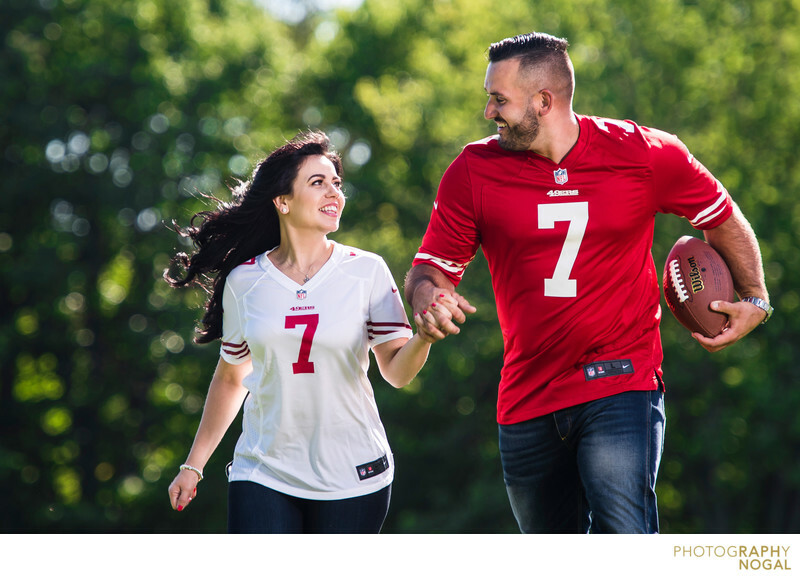 This couple love football (well mostly the Groom) but we did half their shoot in the football field in their football jerseys to bring out some of their personalities and show some of the things they love to do together. This image was taken with the Nikon D750 at 1/320th shutter, aperture f4.8, ISO 100 with a 70-200mm f2.8 VR2 Nikkor Lens + 2X teleconverter at 250mm combined focal length. Lighting was created by Profoto B1 into a Magnum Reflector. Location: 3145 Lake Shore Boulevard West, Etobicoke, ON M8V 1L4.